Today we thought we’d show you these lovely plants – the perfect little addition to your garden! Each of these plants is easy to grow, and only requires a minimal trim once a year or so. Make sure that your soil is well drained, and feed with a Native low P fertiliser. You can either pop them in your garden amongst your other plants, plant en masse for a carpet of colour, or place in a pot or container to really jazz up your courtyard or patio. 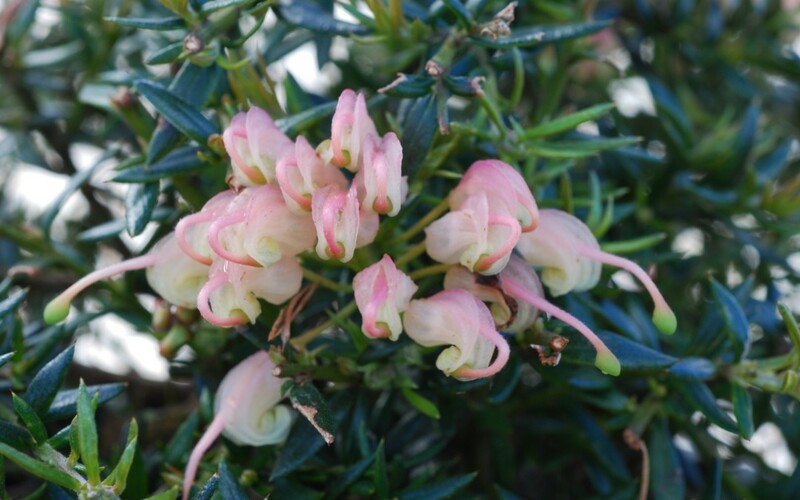 Grevillea Coral Baby is a neat little shrub with fine foliage and delicate pale pink flowers. From winter to spring this little beauty will bloom and delight. Butterflies and honeyeaters will flock to your garden to feast on the nectar. Grevillea Jelly Baby is a favourite at Austraflora, and it’s easy to see why with it’s show-stopping dark pink flowers. During winter to spring, the grey foliage will be absolutely covered in pink and give your garden a real “wow” factor! Grevillea Rosy’s Baby is fabulous for a small garden. The soft green bronze-tipped foliage has lantern like flower heads of pink and cream, displayed on the outside of the foliage. It will produce these beautiful flowers throughout winter, spring and early summer.